After a good time to post on facebook, flickr I return to Blogger. Nice to continue sharing my work and experiences, thanks for stopping by and commenting. January has been interesting, intense and recovery. A very different start to the year, with the taste of renewal. Not always the beginning of the year are usually like that, so I celebrate. Within this package I spent time with my friend Clímaco Cárdenas, Colombian architect and town planner. Long talks, good food and some wine in between. New projects! 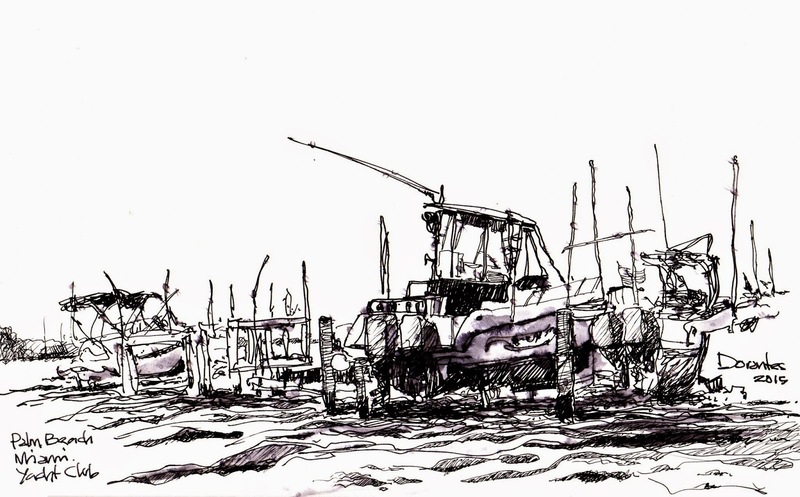 Here I share a sketch from the dock of the Yacht Club in Palm Beach. Beautiful site and refreshing.